Baidu offers a software platform supporting open exchange and also suggests suitable hardware components. Among these recommendations is the interface boards series CAN-PCIe/402 by ESD Electronics. The Apollo project was initiated by the Chinese search engine operator Baidu as assistance to the automotive industry and provides an open software platform. The objective is to enable car manufacturers to develop autonomous driving systems based on Apollo Software Stacks. In addition to the software platform, Baidu recommends some particularly suitable hardware components. This includes the IPC Nuvo-6108GC by Neousys Technology, which is integrated in the on-board computer of the car. Furthermore it includes the ESD Electronics interface boards series CAN-PCIe/402 communicating with the vehicle’s own CAN network. 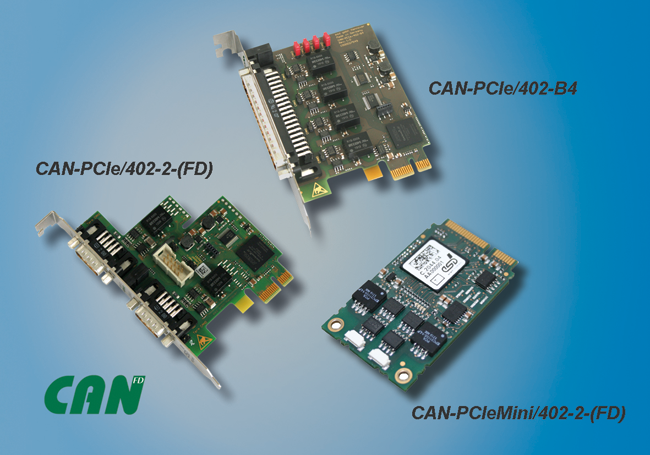 The CAN-PCIe/402 family of interface boards is equipped with PCI Express interfaces according to PCI Express Specification R1.0a for up to four Classical CAN interfaces. As PCIeMini version they have up to two Classical CAN interfaces. These products are exhibited on the SPS IPC Drives 2018 tradeshow (hall 5, stand 131) in Nuremberg, Germany. The CAN interfaces comply with ISO 11898-2 (10 kbit/s up to 1 Mbit/s). Via the on-board FPGA (esdACC) the boards support Bus Mastering. Write cycles in the direction of the host memory can be realized regardless of the CPU or the system's DMA controller. This reduces the host load and overall latency. The boards support MSI (Message Signaled Interrupts) and are equipped with switchable internal CAN terminations. ESD’s NTCAN API is available for various operating systems such as Windows and Linux or QNX, VxWorks, RTX as well as OnTime-RTOS-32. Moreover further CAN diagnosis functions are implemented. The CAN boards as well as the drivers can be operated by different operating systems. The need for higher data rates associated with autonomous driving can be met by the more powerful CAN FD protocol. The company offers corresponding CAN FD components in the form of PCIe and PCIeMini boards. Currently more than 200 partners from the automotive industry support the Apollo project. Autonomous driving is becoming an important issue for the future and will have a lasting impact on the automotive business.